“Train up a child in the way he should go, and when he is old he will not depart from it” appeared to have been a recurring theme by vendors such as Jackson State University at a Career Exploration Fair by United Way of the Capital Area that targeted ninth-graders in the Jackson Public School System. Vendors aimed to inspire teenagers to start early in considering their careers. The event was held Wednesday, Nov. 15, and impacted about 2,200 students. The teenagers were greeted by representatives from JSU, including the Sonic Boom, JSU Chorale and MADDRAMA Performance Troupe. The career fair was held in the Downtown Convention Complex. The objective of the event was to provide a direct avenue for high school freshmen in JPS to explore a variety of careers. Kimberly Hilliard, executive director for JSU’s Office of Community Engagement, was one of the several people from the university in attendance and was able to provide more information on JSU’s importance. MESHONYA Wren-Coleman, director of JSU’s First-Year Experience in Undergraduate Studies, works closely with the freshmen on campus. 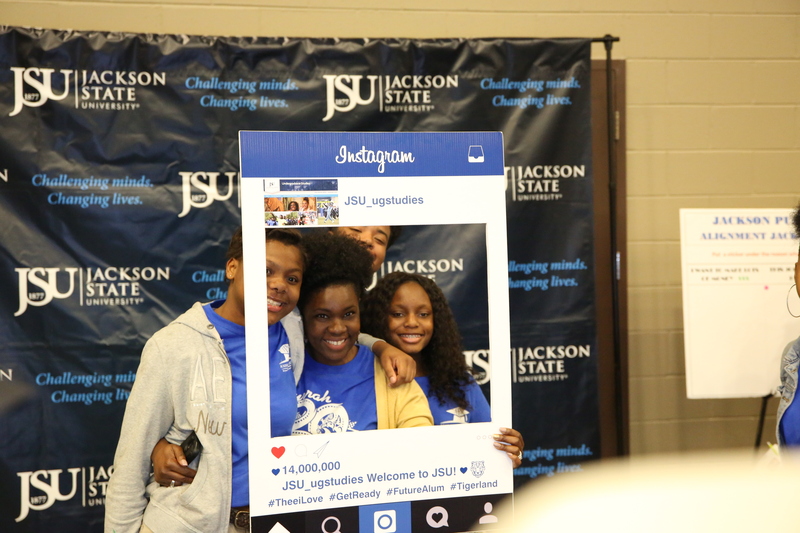 Wren-Coleman provided information on JSU’s interaction with ninth-graders. “We want our JPS students to see a pathway from JPS to JSU. We’re right here in the backdoor, and we are a premier institution.” — Dr. Kimberly Hilliard, executive director of JSU’s Office of Community EngagementThe Career Exploration Fair provided an opportunity for students to explore career choices by interacting with local professionals. Students engaged in interactive activities with professionals that connected the relevance of their goals with their studies. It’s believed that ninth grade is a pivotal year to engage students about career choices even as some freshmen may fail to realize the importance of every year of high school. Along with identifying the relevance of goals and studies, the fair also promoted workforce development, economic development, college readiness and career readiness. Teachers from JPS also participated. She said students have an assignment attached to this event. They must write different essays about what they’ve learned, whom they networked with, and how they will use the information in the future. Bonnie Jackson, a professor in the department of mass communication, gave her view on why it is vital to target ninth-graders and their understanding of the media. Jasmine Russell, a University Ambassador for JSU, provided insight on the importance of the event from students’ perspectives.